Whether you run your own business or work for someone else, you've probably got a lot on your plate. Unfortunately, much of it may not be all that appetizing. Along with the portion of your work that you truly feel like doing comes a generous helping of things you'd rather not do. 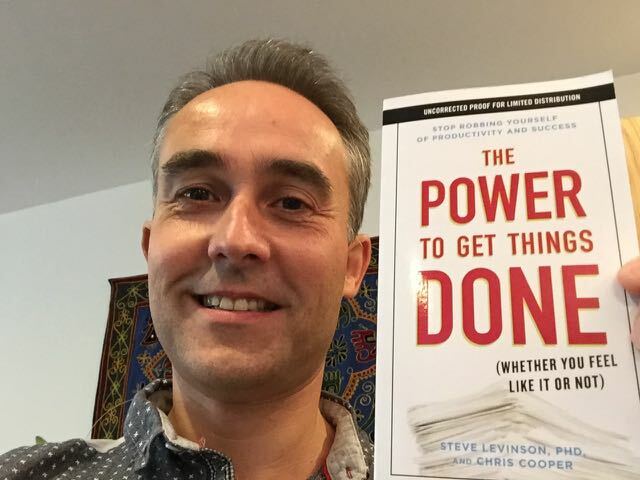 As consultants, Chris Cooper and co author Dr Steven Levinson have seen countless clients struggle--and often fail--to do the many success-producing things they know they should do but don't feel like doing. The Power to Get Things Done will teach you how to consistently turn good intentions into action so that you can be as successful as possible in the work you do . . . whether or not you feel like filing tax forms and making follow-up calls. 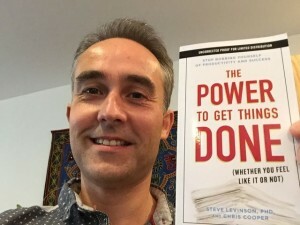 The book offers a host of practical solutions including: the correct way to think about and treat good intentions, the three key principles of following through and simple but powerful principles and strategies that will make it easy for readers to solve big problems quickly. The book published on 31st Dec 2015 by Perigee (Penguin Random House New York) is available for order now . This book contains a ton of practical and easy-to-implement techniques and strategies for getting yourself to do whatever needs to be done. Jack Canfield, coauthor of The Success Principles and the bestselling Chicken Soup for the Soul series. What a great book! Lots of real life examples that will cause most readers to say “That’s like me” or “I can relate to that!” I love practical tips that are simple and easy to apply, and this book contains plenty of them. I suggest you dive straight in, find something you like, create a new habit and start making a difference to your life straight away. Jeff B Cohen, Esq, Beverley Hills Attorney who as a child played Chunk in the Stephen Spielberg film The Goonies; author of The Dealmakers Ten Commandments.